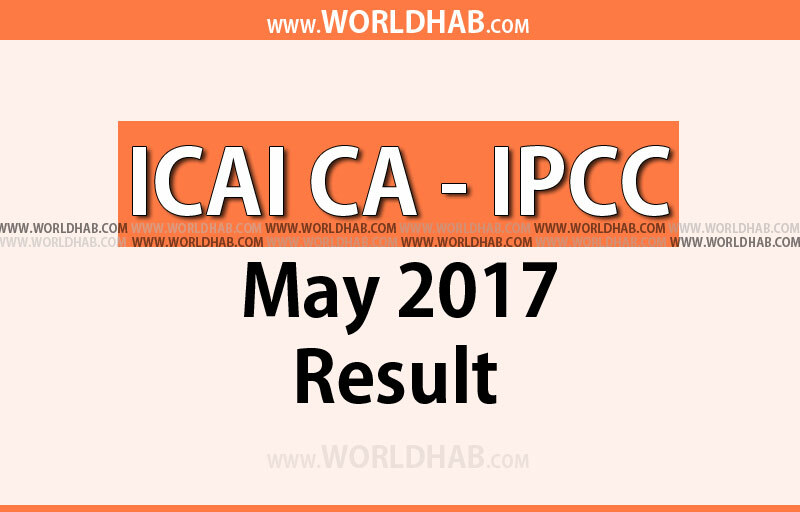 The Institute of Chartered Accountants of India (ICAI) may be announced the Chartered Accountants Intermediate CA – IPCC May 2017 Result on 1st August 2017. Around more than 2 lakh students have appeared in this exam at 430 centres across India. All those students can check their results at the official website of ICAI, icaiexam.icai.org. As per the source, the ICAI also be announced the Top 50 All-India-Level Merit list ranks, those who all scored 55 per cent and above in the Chartered Accountants Intermediate May 2017 examination results. Update: Gaurav Sarawagi from Churu is the first by scoring 80.71 per cent. The second position is Ronak Rajendra Jain from Nashik. Hasan Mohammad Ibrahim Iqbal Usama from Nagpur is the third rank. Students those who all appeared and waiting for the CA – IPCC May 2017 Results can expect the same on August 1st, Tuesday. Also, those students can get their results through three different modes such as SMS or Email or online. Search and click on a link which related to CA – IPCC Examination Results. Enter roll number, Pin number (or) registration number and enter Captcha. Example: “CAINTER 889900” and then send it to 58888. The ICAI will send the notification of result declaration to the registered email ids those who all done their registration with email id before on July 27.